Jim Caldwell will give a young and talented Detroit Lions roster the structure it needs. 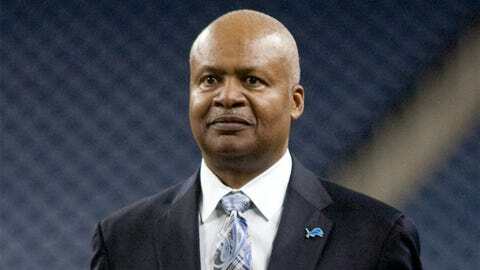 Jim Caldwell is exactly what the Detroit Lions needed, and the timing couldn’t be any better. With one of the most talented rosters from Megatron to Ndamukong Suh, this has to be the most underperforming outfit in the NFL. The Jekyll and Hyde personality of the Lions mimicked that of their former head coach Jim Schwartz. In comes Caldwell, with an even keel. Through turmoil or harmony, feast or famine, Caldwell will remain steadfast toward his goals. He won’t blink. He won’t flinch. This is the type of personality the Lions need at the helm with a young, talented team and a multitude of colorful personalities. Not all coaches have the ability to harness the energy and emotions of a team and turn that into precision and focus. As recently as 2012, Caldwell reined in a Baltimore Raven offense that was underperforming under Cam Cameron. Caldwell brought balance to an offense that was out of kilter. This was not easily done. It takes a keen eye for detail. Caldwell is detail-oriented and takes every opportunity to learn something new. When he joined the Ravens’ staff, I noticed that he constantly took notes. It didn’t matter who in the meeting room was on stage, he found a point that resonated and notated it. He had to have filled up several of those yellow legal pads through the course of the season. I recall a conversation I had with Coach Caldwell during the championship season that made me look at him in a different light. On our off-day during the bye week before the Super Bowl, I bumped into him at a jewelry store. He was looking at old Rolex and Patek Philippe watches. I was looking at new Rolex and Patek Philippe watches. We both were going to treat ourselves if we won the Super Bowl. He had mentioned to me that the craftsmanship and precision in the watches of old were actually better than that of the new watches because they are not created on a mass scale. He mentioned the gears and the parts were of higher quality; not only were they older, but they would still outlast the new models. I took a mental note. I still bought my new watch prior to winning the Super Bowl and took it with me to New Orleans. He selected his watch and put it on hold. I am sure that watch fits in nicely with his collection of high-end classical timepieces. Caldwell likes the old school way of doing things. He is an old-fashioned guy who believes in hard work, commitment to your craft, loyalty to your family and accomplishing your goals. There is another classical watch sitting out there at some high-end jewelry shop with Jim Caldwell’s name on it. Even with the promotion to head man in Detroit, he won’t buy it until the time is right, when he gets his new pride into the playoffs.